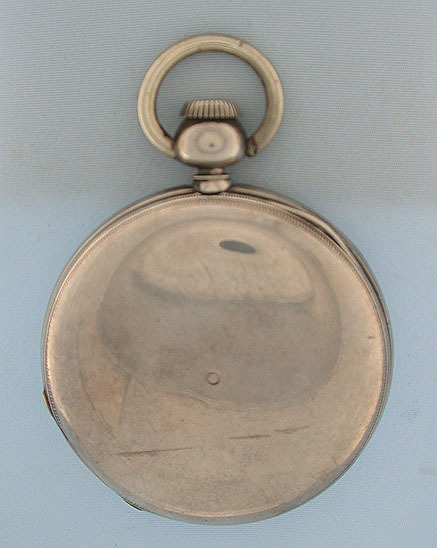 Scarce nickel Type IV Howard in silver case circa 1872. 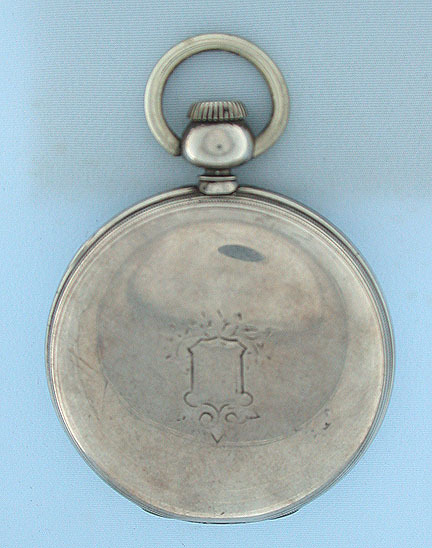 Ray damasceened nickel 15 jewel movement with light scuffing. 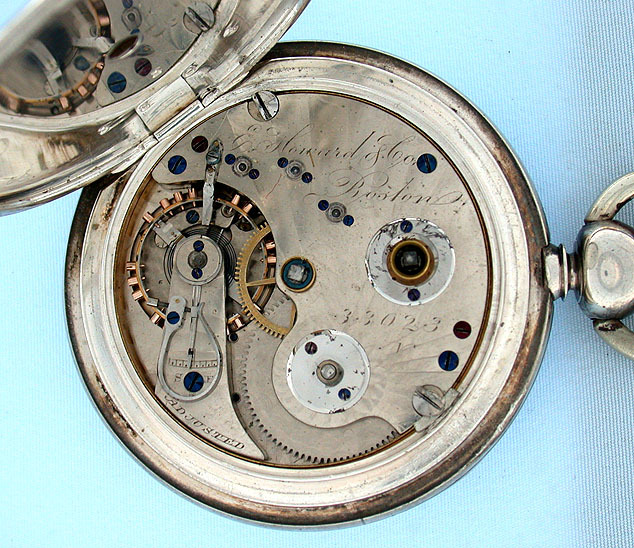 One of the earliest Howard movements in nickel. Heavy coin silver case worn alost smooth with small band dings. 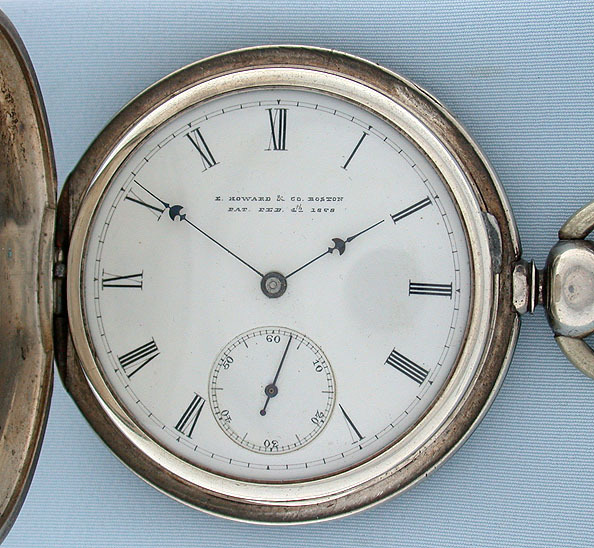 White enamel dial with blued steel Howard "umbrella" hands.